Introducing The Cowboy Bebop Jazz Cat Experience! This event information is from Anime Expo 2016. Please stay tuned for 2017 events to be announced! Join us for an epic performance of music, storytelling and visuals celebrating one of the most influential anime of all time, Cowboy Bebop! 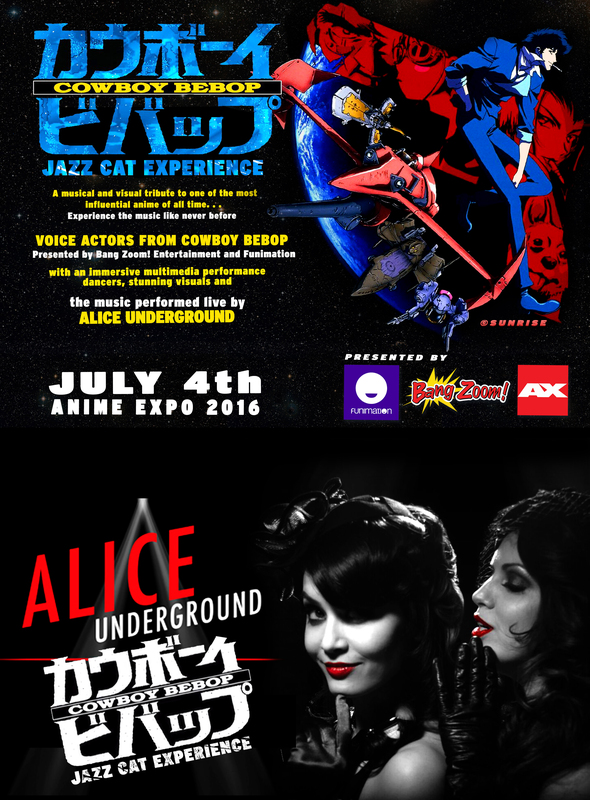 Note: This event requires both a valid AX badge (1-Day Monday or 4-Day) and an event ticket for Cowboy Bebop Jazz Cat Experience.